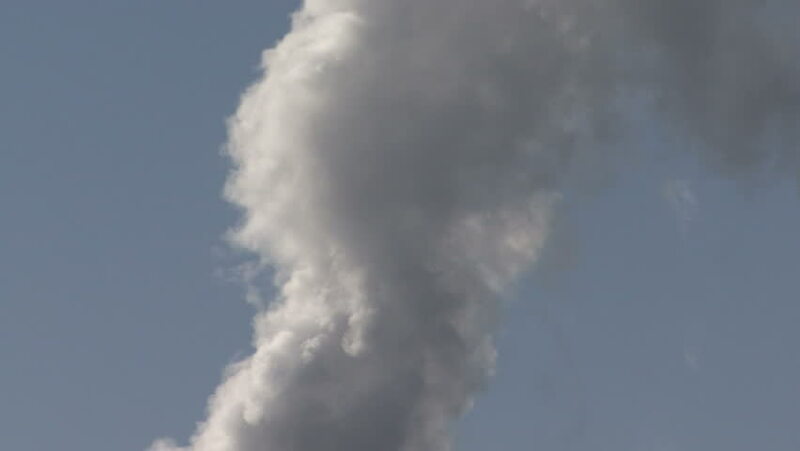 hd00:30Factory plant smoke stack over blue sky background. Energy generation and air environment pollution industrial scene. Slow motion.